Capt. Doug Lillard: Fishing Flamingo (Everglades National Park), Biscayne Bay and the Florida Keys. Thank you for taking the time to browse through my Web Site. 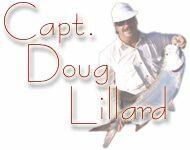 I specialize in protected water light tackle fishing in the waters of Flamingo (Everglades National Park), Biscayne Bay and the Florida Keys. This is flats and backcountry fishing where no one ever gets seasick! No heavy tackle! No inhaling diesel fumes! You get back to nature in a relaxing environment where you go one-to-one with the fish. This is a flats and backcountry fishing bonanza! You’ll venture deep onto the wilderness of uninhabited islands where the fresh water from the everglades meets the salt water of the Florida Keys. This estuary is the only place on earth where both saltwater crocodiles and alligators coexist. These are some of the species of fish that you can expect to encounter on a trip to Flamingo: Tarpon, Snook, Redfish, Trout, Jack Crevalle, Sharks, Snapper, Jewfish, Grouper, Cobia, Tripletail and far more species of birds to watch. Anyone from an expert to a novice can enjoy fishing in Flamingo. Shadowed by Miami’s skyline, this is where the Florida Keys begin and some of the biggest Bonefish in the world live. 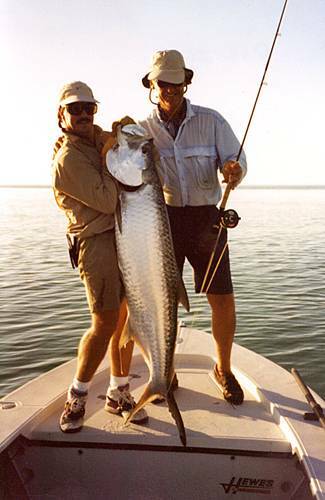 The average bonefish is 7 pounds and Bonefish of 10 or more pounds are common. Permit, Tarpon and Barracudas are found in abundance on the flats of Biscayne Bay. 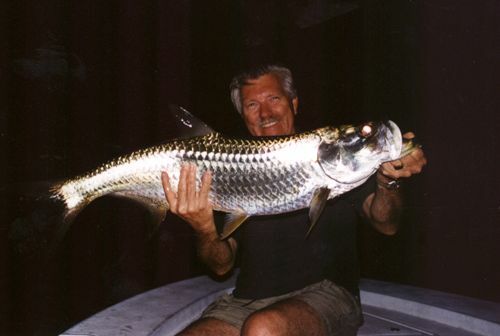 If you’re too busy during the day, try fishing for tarpon at night. Night trips are very exiting and anglers are often well rewarded.